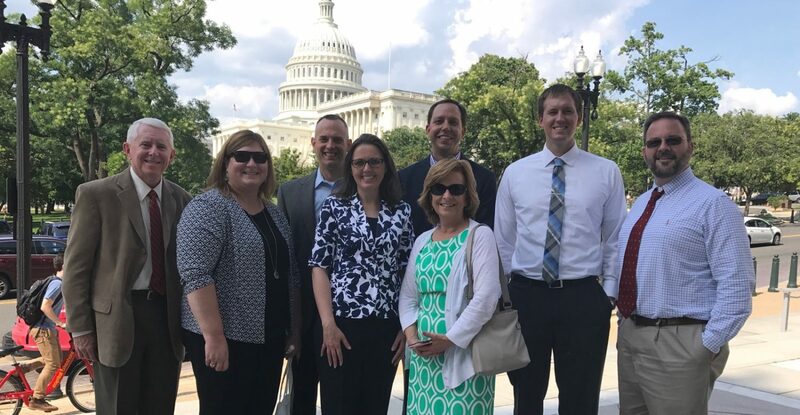 WASHINGTON – In the midst of the muggy summer heat of Washington, D.C., a group of financial aid leaders from Christian colleges across the country gathered to advocate for financial aid policies on Capitol Hill. As part of its annual meeting, the CCCU’s Commission for Financial Aid Administrators (FAA Commission) met in a series of meetings on Capitol Hill to learn more about anticipated changes and to provide new perspectives regarding the impact of potential changes on students seeking a degree from a Christian college or university. During the meetings, changes within the Department under the leadership of Secretary Betsy DeVos, the sunset of the Perkins Loan program, gainful employment and borrower defense were discussed. Additionally, the Higher Education Act reauthorization timeline and possible changes to it were topics of interest. Like other CCCU commissions, the FAA Commission supports both the work of the CCCU and the work of peers across the country by providing valuable networking opportunities and support through conferences and peer group emails. 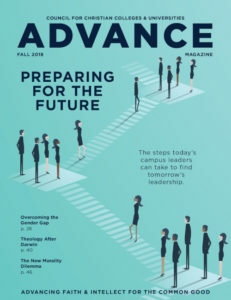 In addition, the commission has annually administered a financial aid survey providing important data for the CCCU and its member institutions.